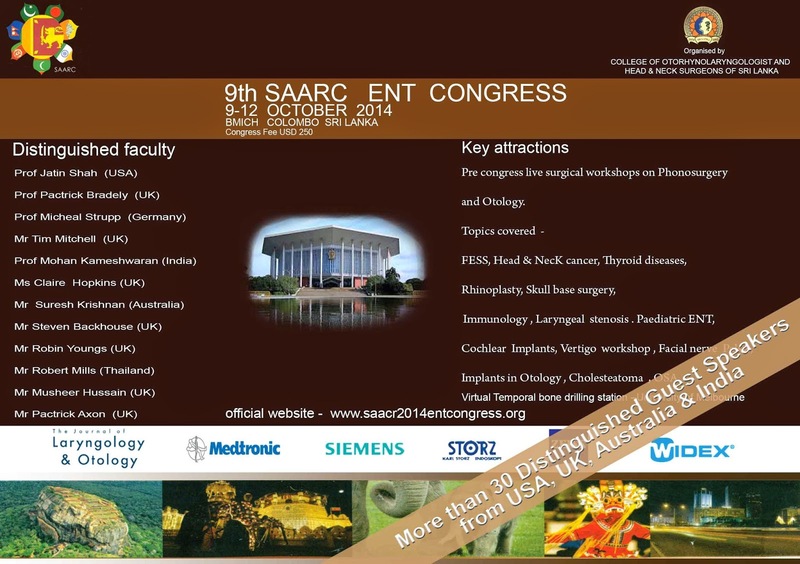 Dear Colleague, We are pleased to announce the 9th SAARC ENT congress 2014. You are welcome to participate in this event. This will be a great opportunity to present your research findings and to share new knowledge.